Nov. 1, 1918, was a big day in our 100-year history. 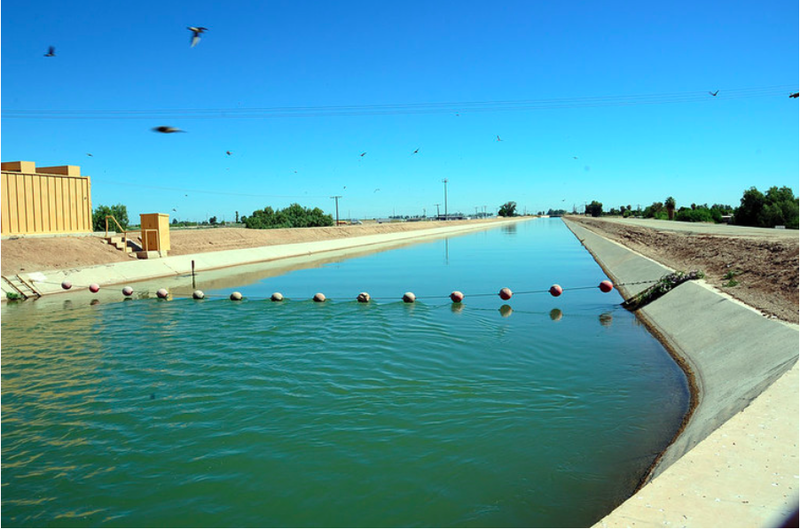 The American Canal carries water from the Colorado River to farms in California’s Imperial Valley. Photo credit: Adam Dubrowa, FEMA/Wikipedia. A public agency and a powerful farmer are gearing up for a high-stakes court battle to determine who owns the largest share of Colorado River water in the West, complicating the river’s future as seven western states scramble to avoid severe water shortages. There’s a long history of fighting over water in California’s Imperial Valley, which has a legal right to more than 1 trillion gallons of Colorado River water each year — twice as much as the rest of California, and as much as Arizona and Nevada combined. But officials at the publicly owned Imperial Irrigation District say the lawsuit brought against the agency by Mike Abatti, an influential farmer, could be a game-changer for the U.S. Southwest. They say Abatti’s lawsuit could shift control of the Imperial Valley’s water supply away from the public and toward a small group of landowning farmers. “This case presents a pivotal struggle over the ownership and control of what may be the most historic and invaluable water rights in the Southwest United States,” Abatti’s lawyers wrote in their opening brief to an appellate court in San Diego last month. Abatti’s lawsuit is a key issue in next week’s election for one of five seats on IID’s board of directors. Norma Sierra Galindo, the incumbent, has pledged to keep fighting the lawsuit, frustrating farmers who have urged IID to settle the case. Galindo’s challenger, Carlos Zaragoza, recently received campaign contributions from Abatti’s brother Jimmy, and from another farmer who has leased land from Abatti. Zaragoza has refused to discuss his views on the Abatti lawsuit or to say whether he would support a settlement. The Abatti case has also pitted Imperial Valley city governments, industrial developers and labor unions against powerful farmers. Agriculture uses 97 percent of the valley’s Colorado River water, and critics of Abatti’s lawsuit say giving farmers more control would cripple IID’s ability to guarantee a reliable water supply for cities and industry. The city councils of El Centro and Calipatria have passed resolutions supporting IID in the lawsuit, at the urging of a group called the Imperial Valley Coalition for Fair Sharing of Water, which was organized by former Imperial County supervisor Wally Leimgruber. 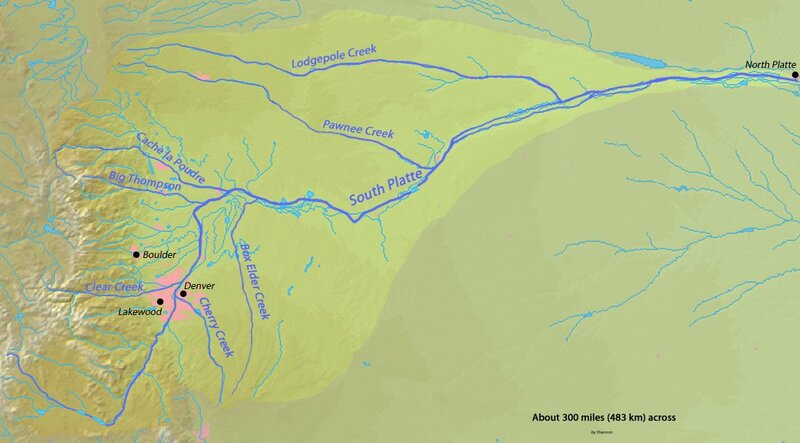 An interactive graphic from one of the new storyboards shows the instream flow rights of rivers and streams throughout the South Platte Basin. For anyone in Colorado wondering how water reaches their pipes, there is plenty of public information out there. But a cursory internet search will quickly turn up incomprehensible acronyms — SWSI, TBD, BIP and CWP, just to name a few — along with hydrology charts, infrastructure designs and a complicated set of laws that traces back all the way to the 19th Century. In an effort to simplify the deluge of data out there, the water community in the South Platte Basin teamed up with a local non-profit to develop a new set of tools to explore data about water management in the basin. “I thought that rather than referring to big documents and PDF reports that people could look at these live interactive resources and have more engaging discussions on the issues,” said Steve Malers, chief technology officer at the Open Water Foundation and the project’s creator. With a year and $100,000 in combined funding from the Colorado Water Conservation Board, the South Platte and Metro basin roundtables, Malers was able to sift through reams of water data to create three interactive storyboards. The storyboards are designed to explain the more dense aspects of water management to the public (and to shed light on some of those acronyms). Malers also incorporated information specifically for people who work in water. By crunching numbers and reformatting data to fit into one readable page, Malers hopes that roundtable members and others working in water can use the storyboards to make more informed decisions. “If they find those things useful, perhaps that can change the paradigm a bit and we can have more data-driven discussions,” he said. For now, these storyboards are tucked away on the South Platte Basin Roundtable’s website, but Malers and Williams are working to spread the link across the web. According to Williams, the education committees are already considering expanding the storyboards to other parts of the state. US Drought Monitor October 30, 3018. Colorado Drought Monitor October 30, 3018. The U.S. Drought Monitor week ending on October 30, 2018 was marked by several weather events. The first, Hurricane Willa, made landfall as a category 3 storm on Mexico’s Pacific Coast just after the cutoff for last week’s map (8:00 AM ET, Tuesday). The remnants of this storm brought heavy rain and thunderstorms to Texas, which had already been saturated with excess rain over the last several weeks, and to other states in the southern tier of the country. These rains brought improvements to areas impacted by drought, including the long-term drought areas of Arizona and New Mexico. Moisture from Willa helped fuel the season’s first nor’easter, which soaked the Northeast and brought snow to the higher elevations of New England over the weekend, helping to ameliorate drought and abnormal dryness across the regions. Storms also brought precipitation to the Pacific Northwest, the upper Midwest, and the Ohio Valley, bringing drought relief to these areas. Virtually no degradations occurred this week, except for an expansion of abnormal dryness across the Florida Panhandle.. The greatest chances for precipitation in the coming week are in the Pacific Northwest, Northern and Central Rockies, and across the eastern half of the continental U.S., particularly in a band stretching from east Texas to New England. In the West, this could impact drought-affected areas in western Washington and Oregon, northern Idaho, and parts of Colorado and New Mexico. Much of the rainfall in the eastern half of the country is expected to fall in areas that are currently drought free, with the exception of northeast New York and northern Vermont.